A new chicken shop has opened its doors in the neighborhood. 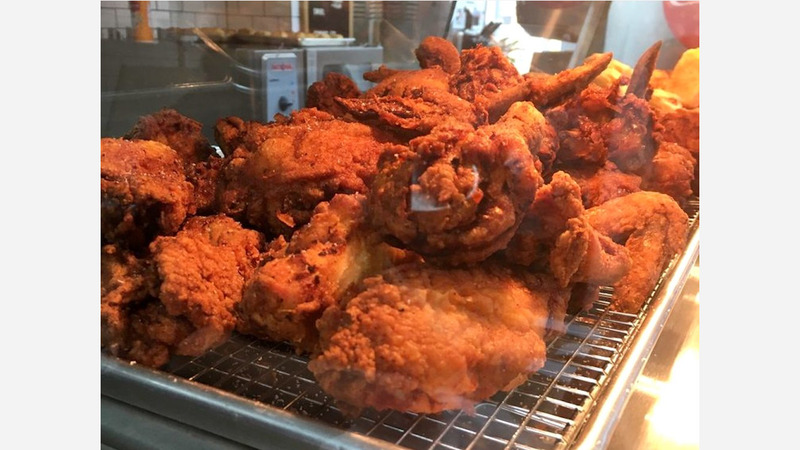 The new arrival to Passyunk Square, called Redcrest Fried Chicken, is located at 1525 S 11th St. This new spot is located in the former Fresh Seafood space, which closed up shop. It comes courtesy of a Philly native, chef Adam Volk, formerly of New York eateries The Exley and Esme. Fried chicken is the specialty, so expect to see items on the menu like a spicy or buttermilk quarter, half, or whole chicken served with a biscuit or wings served plain or with buffalo, barbecue or spicy honey sauce. You can make your order a meal as well by adding signature sides like mashed potatoes, coleslaw or corn pudding. Look for sandwiches on offer, too, like the "Redcrest" with spicy mayo and shredded romaine or the "Buttermilk" with garlic mayo and spicy pickles. Vegan options are available, too, like a "Veggie CHX patty" sandwich. With a 4.5-star rating out of three reviews on Yelp so far, Redcrest Fried Chicken seems to be a welcome addition to the neighborhood. Katie L., who was among the first Yelpers to review the new spot on January 31st, said: "I got a quarter of buttermilk fried chicken with a biscuit and mashed potatoes. My total was around eight dollars, which was about right for how much food I got. The chicken was delicious." And Cliff C. said: "Juicy with a crunch, good quality fried chicken. What a great location, friendly staff, too. Thanks for opening here." Swing on by to take a peek for yourself: Redcrest Fried Chicken is open Monday-Thursday from 11am-11pm, Friday and Saturday from 11am-midnight, and Sunday from 11am-10pm.